Please note this article was first published in 26 Feb 2010. Its content may now be out of date. We recommend taking a look at more recent website building blog posts or check out our comprehensive support pages. If you are looking for information on our 14 day free website builder trial we have a large number of webpages that guide you throug the process. What was it that first motivated you to build a website? Have you just started a new business? Does your existing business need a boost? Do you want more people to come to your shop? Would you like new customers to call you to get a quote or enquire about your services or products? Do you want to reduce your workload? Provide more efficient and consistent information to your customers? Do you want to establish a professional brand, launch a new product, get some feedback on a new idea? Whatever the reason, it’s imperative to build a website, which can be found online by the right people at the right time. All of the above are more than possible with a DotGO website due to the extensive Search Engine Optimisation processes, which are built in to your website and work hard to help you achieve the best possible positions in the Search Lists. But to really maximise your website’s potential, you need to make sure that you’re allowing your website to do everything it is capable of doing with regard to Search Engine Optimisation. Your first step is to make sure that you’ve completed all 5 parts in Step 1 of your control panel. Your Header Information, which includes your Business Name and Company Slogan. If possible, try to include your main keywords here. i.e. Puma Holiday Homes, Luxury Holiday Homes in East Anglia. Your Contact Details in Parts 2 and 3. Include as many contact options as you can. Give your customers every opportunity to get in touch. Don’t forget your professional email address here, which is included with all business website packages. info@pumaholidayhomes.co.uk not only looks more professional but will offer far more credibility for your company than an email such as pumaholidayhomes@hotmail.com or pumaholidayhomes@yahoo.com and will encourage more response from customers. 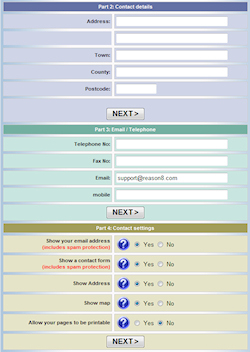 Show Contact Form - When you preview your website and click the contact page you will see that you customers are offered a choice to Click here if you would like us to contact you '. This opens up a new window and allows them to send a message which is turned into an email and sent to your email address. Show Address – You can choose whether to show or not show your address here, for example, if you’re an online business only, your address is not required. If you’re business has a premises, you should of course choose yes here and you can also add an interactive Map to help customers to find you. The Map is generated from your Postcode so make sure its correct. Allow your pages to be printable - You can offer your visitors a way to print off your page so that it perfectly fits printer paper. 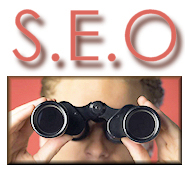 Step 5 is the most important part as far as Search Engine optimisation is concerned. Your top key phrase or “Most Important Search Engine Key Phrase “ should contain no more than 6 words, which best describes your service or product. Try to imagine what you would type into a search bar if you were a customer looking for the kind of service or product your company provides. Don’t use words such as “a” or “the” or “and” etc. Don’t use any punctuation such as comma’s or quote marks or exclamation marks. In the second section of part 5, create 4 more 6 word key phrases made up of your keywords and using any other keywords you have thought of. Try to stick to the theme of the key phrase that you entered in the “Most Important Search Engine Key Phrase above. DON'T duplicate words in the same key phrase and DON'T use commas, quotes or punctuation marks. 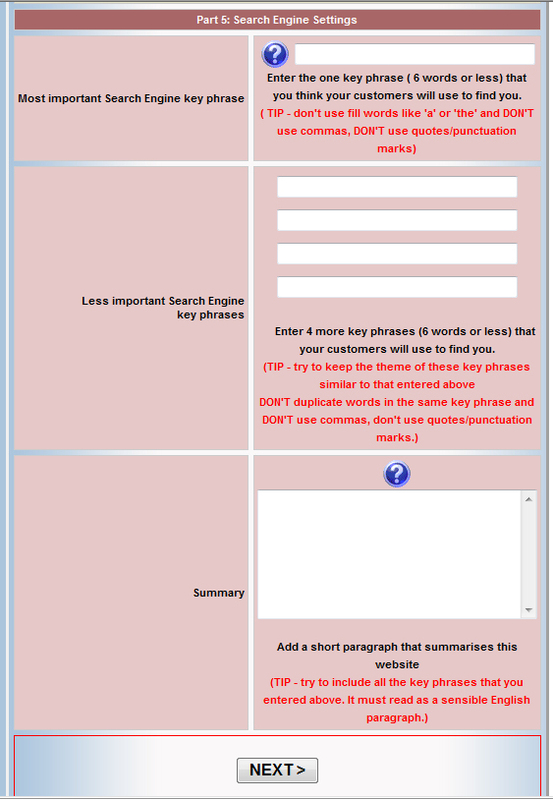 In the Summary, add a short paragraph that summarises your company and your services or products. Try to include all the key phrases that you entered above but make sure it reads as a sensible English paragraph. Click Next and that’s Step 1 complete! Please remember, this article was first published 26/02/2010. The content may be out of date and you cannot post comments any more. Please check out our new blog.